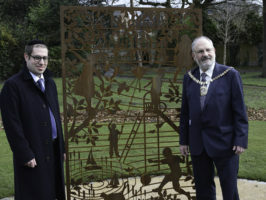 The Mayor of Barnet, Councillor Brian Salinger, and Councillor Dean Cohen, took part in a ribbon-cutting ceremony on Tuesday, 13 March 2018 to open a memorial garden for Sir Nicholas Winton at Princes Park, Golders Green. 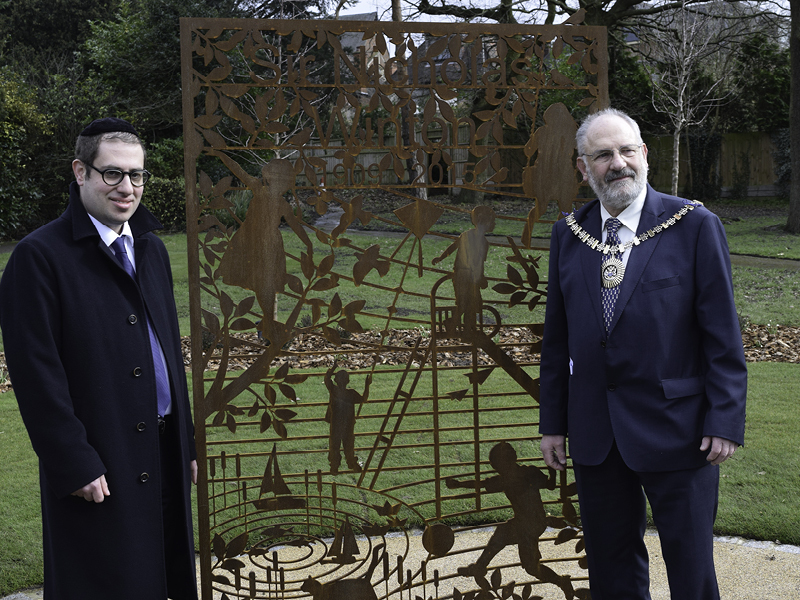 The Mayor of Barnet, Councillor Brian Salinger, and Councillor Dean Cohen, took part in a ribbon-cutting ceremony today (Tuesday, 13 March 2018) to open a memorial garden for Sir Nicholas Winton at Princes Park, Golders Green. Sir Nicholas Winton was a British humanitarian, who organised the evacuation of 669 children prior to the start of the Second World War. Most of the children were Jewish, and from Czechoslovakia, with the evacuation taking place on the eve of the Second World War. In an operation later known as the Czech Kindertransport, Sir Nicholas found homes for the children and arranged for their safe passage to Britain. In honour of Sir Nicholas Winton’s memory, the Mayor of Barnet and Councillor Cohen were joined by pupils from Menorah Primary School and Wessex Gardens Primary School.